Paralegals are vital to the success of lawyers and law firms, and this is particularly true when it comes to estate planning and probate law. These legal areas are wide ranging and require several different tasks, which makes working as an estate planning paralegal a great choice for anyone looking for a client oriented, variety filled legal career. Because working as an estate planning paralegal can be much different than other paralegal positions, it’s important that you learn more about the requirement of working in probate or estate law and what requirements you may have to meet before entering this important profession. Unlike other paralegal professions where the primary task is constructing legal documents and performing legal research in support of attorneys, working as an estate planning paralegal is one of client focused legal positions that exists. When planning an estate, you will be required to have in-depth, emotionally fraught conversations with clients that include everything from their financial standings, their final wishes and how they want their inheritance to be divided. 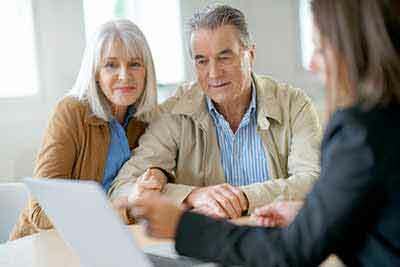 You will also meet with relatives of your client after they have passed and will explain the details of their estate. Other important responsibilities of an estate planning paralegal can include handling estate taxes, reviewing creditor claims and preparing wills, trusts and probate forms. Like every form of paralegal, you will first need to complete a paralegal education before you will be hired by a law firm. Fortunately, there are several ways that you can receive training as a paralegal and make yourself eligible for employment. For instance, you could choose to complete a certificate of paralegal studies, which provides for quick professional entry. However, most law firms prefer paralegals who have made the effort to earn either an associate’s or bachelor’s degree that been awarded by an institution approved by the American Bar Association (ABA). Because of the delicate nature of estate planning, there are also skills that you need to work in this profession successfully. First, you must have good communication skills, as you will be working with clients during some of the most vulnerable times of their life. Second, you will need to be detailed oriented, as estate planning is a complex process that involves many different forms and documents. Possessing or curating these skills is important for estate planning work. Salaries for paralegals are wide ranging, and depend on several factors. The state where you work, the paralegal field that you’ve entered, your education level and your paralegal experience can drastically alter your annual compensation. Luckily, the Bureau of Labor Statistics (BLS) provides some basic information about this profession. As found in the 2015 BLS report, paralegals can expect an average yearly salary of $48,810. For aspiring estate planning paralegals who are concerned with job access, the BLS estimates that paralegal positions will grow at a rate of 8% in the years leading up to 2024. If you’re someone who is interested in a legal career and possesses deep compassion for other people, then becoming an estate planning paralegal is the ideal career choice. By becoming an estate planning paralegal, you will ensure that your client’s final wishes are granted and that their possessions and finances are given to their loved ones.